As the nation’s premier Physician operated medical legal consulting firm, MedMal Consulting provides medical litigation case review and expert witness referral services. MedMal is committed to supporting the mission of the AAJ and therefore provide our services exclusively for plaintiff attorneys. We screen and determine the merits of medical malpractice cases, and analyze the strengths and help to anticipate the defenses in nursing home neglect and personal injury cases. Our physicians assist attorneys in developing case specific rules of the road cross-examination questions and prepare witnesses for depositions and trial. We work with the most comprehensive, pre-screened and well-qualified nationwide network of testifying medical expert witnesses who are available for trial and for signing letters of merit when necessary. 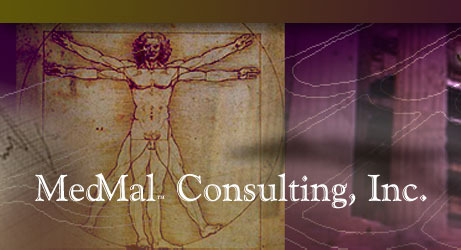 Established in 1992, Dr. Herman and MedMal Consulting have over 26 years of experience in the medical malpractice, nursing home neglect, and personal injury fields and have assisted in obtaining more than $180 million dollars in verdicts and settlements in medical malpractice and nursing home cases. Medical Malpractice Expert Witnesses and consulting services available exclusively for plaintiff’s attorneys, include initial medical malpractice case review and standard of care evaluations. We work with the most comprehensive, pre-screened and well-qualified nationwide network of testifying medical expert witnesses. Additional medical legal consulting services include medical literature research, discovery preparation and/or evaluation, assistance with medical malpractice trial preparation, settlement negotiations, mediation and in-court medical malpractice trial consulting. Although law firms primarily engage us, MedMal Consulting has also developed seminar lectures and materials for Physician CME seminars, Grand Rounds, and resident and medical student education. MedMal Consulting is based in Cleveland, Ohio, and has a nationwide network of testifying Medical Malpractice Expert Witnesses. We invite your confidential inquiry as to how we can assist you or your firm. We research and review medical records exclusively for plaintiff attorneys. If you or a loved one believe you may be the victim of medical malpractice, what we do is not what you need. You should contact an attorney immediately. Your state’s bar association can refer you to attorneys specializing in personal injury, nursing home abuse, or medical malpractice.